Allergies are more common than you might think; in fact, the American College of Allergy, Asthma & Immunology estimates that as many as one in five people have allergies. Dallas residents trust allergist Barbara Stark Baxter for relief from painful, irritating symptoms. 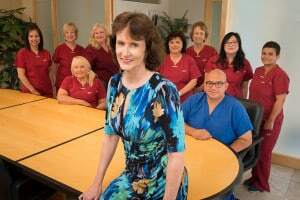 With over 30 years of experience, Dr. Baxter has kept her patients' allergies under control and helped them enjoy a better quality of life. Allergies — which are reactions of the immune system to certain substances — manifest themselves in many different forms. Dust, mold, foods and drugs can all trigger symptoms that range from mildly annoying to life-threatening. An allergy can affect the eyes, ears, nose, throat, mouth, lungs, skin, gastrointestinal organs or, more rarely, the entire body. In many cases, those affected cannot pinpoint the causes of their allergic reactions. Allergists are specially trained to identify the substance(s) causing symptoms and put together a treatment plan to provide relief and prevent future reactions. Dr. Baxter is dedicated to delivering outstanding patient care. She understands that that the only way to provide a comprehensive analysis of her patients’ symptoms, diagnose their conditions properly and recommend effective treatment options is to spend quality time with them. Dr. Baxter never rushes patients through their appointments. Instead, she creates a welcoming environment in which patients feel free to discuss their ailments openly and honestly. This allows her to get to the root of the problem and suggest potential actions that patients can take to alleviate their symptoms. More than 25 million Americans suffer from asthma at various levels of severity. Asthma and allergies go hand-in-hand, as it is often allergies that trigger the wheezing, shortness of breath and coughing symptoms of asthma. 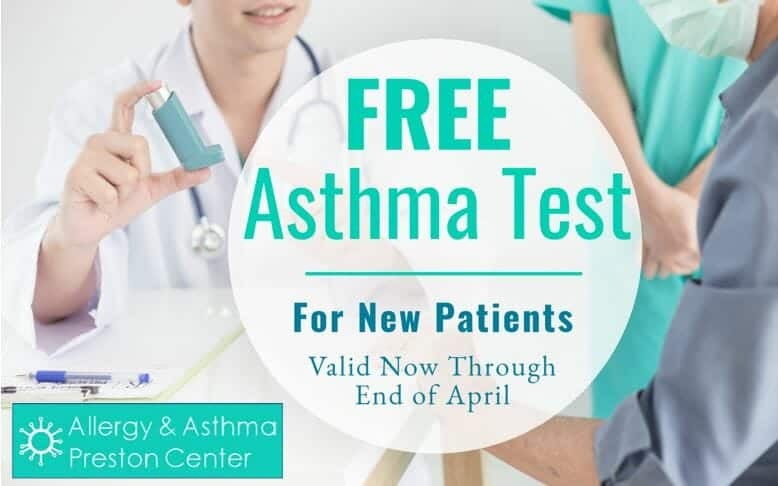 That is why Dr. Baxter will typically begin treatment of asthma with an allergy test – the symptoms of asthma can be often prevented by avoidance or treatment of the allergy trigger. Other triggers of asthma include exercise, pulmonary disease, and sinusitis. Dr. Baxter creates personalized asthma treatments for each of her Dallas patients based on the symptoms and severity of their asthma. Dr. Baxter recognizes that each individual has unique needs. What is considered an appropriate and effective treatment protocol for one patient may not necessarily work for another. With this in mind, Dr. Baxter offers multiple treatment options. She collaborates with each individual to establish which treatment options will have the most effective outcome, with the fewest side effects. In addition to helping alleviate her patients’ allergy concerns, Dr. Baxter uses her extensive medical expertise to serve the greater good. To this end, Dr. Baxter performs clinical research with the goal of discovering innovative treatments for diseases such as diabetes and emphysema. In partnership with Discovery Clinical Trials, Dr. Baxter is currently participating in a number of active trials. Find out more about her clinical research. Dr. Baxter’s principal focus is her allergy, immunology and asthma practice. However, her passion for enhancing individuals’ overall health and wellbeing extends beyond those specialties. She is especially passionate about helping mitigate the obesity epidemic. That is why she offers personalized coaching and additional resources to assist patients in achieving a healthy, sustainable bodyweight. In addition, Dr. Baxter is certified in hypnotherapy, which is an effective tool in helping individuals accomplish a variety of wellness goals, including eating healthy and quitting smoking. Find out more about Dr. Baxter’s wellness philosophy. 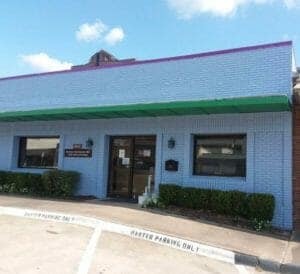 Schedule your Appointment in Dallas Today! If you seek to alleviate your allergy symptoms and improve your quality of life, Dr. Baxter invites you to meet with her to discuss your health and wellness concerns. To schedule an appointment, please contact her office by calling (214) 363-8653. See more patient reviews about Dr. Barbara Baxter’s services. One of Dr. Baxter’s patients, Michael, discusses how her allergy treatments have helped transform his life. 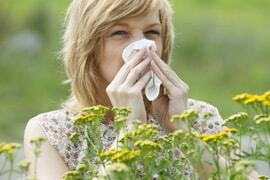 Learn more about her allergy, asthma and immunology practice. Allergic reactions range from merely irritating to potentially life-threatening. Dr. Baxter works with patients on every end of the spectrum. 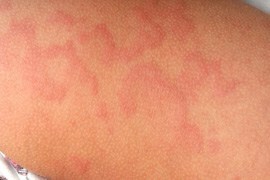 Hives can be big, small, itchy, burning or stinging. Dr. Baxter gets to the root of the problem to provide much-needed respite from symptoms. Dr. Baxter uses a wide variety of approaches to support and improve her patients overall health goals, including weight loss and smoking cessation. 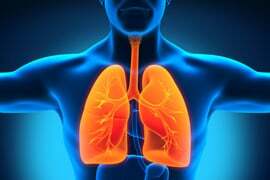 Asthma and other respiratory problems affect more than 25 million Americans. Dr. Baxter helps patients responsibly manage their diseases and prevent flare-ups.